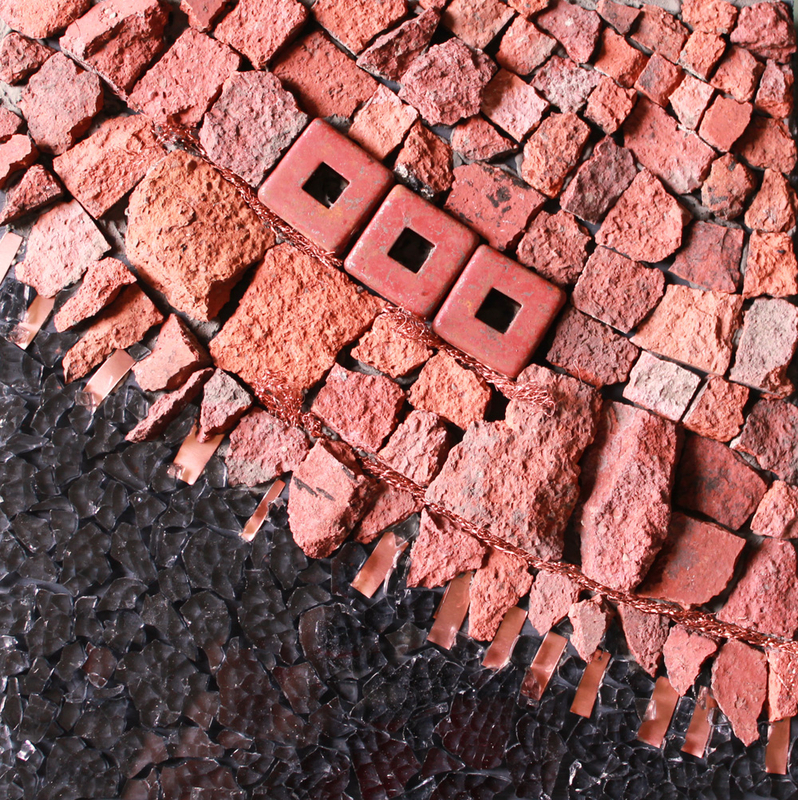 This mosaic class is all about working with unconventional materials and textures. 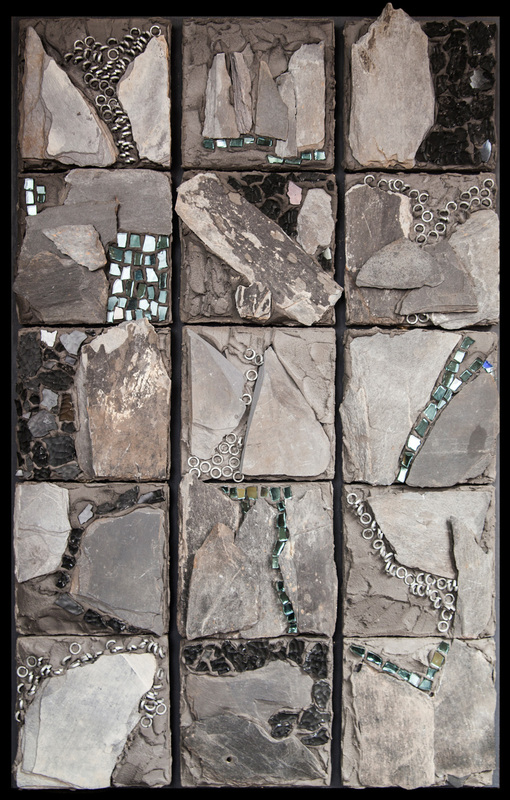 We’ll think “non-traditionally” about what materials work for mosaic, and then produce a mixed media artwork using perhaps aluminum, copper, plastics, linoleum, wood, tire rubber, or beach detritus as well as the more usual mosaic materials such as tile/ceramic/glass. Early in the week we’ll explore the streets of Puerto Vallarta — including hardware stores, markets and miscellaneous shops scouring for texture. Bring from home anything you would also like to include in your mosaic – metals, jewellery, plastics etc. This class will particularly appeal to those who have a passion for unusual texture and love to collect. You may choose to grout or leave your work ungrouted (or use a combination of both). Acrylic paints can also be used to finish frames or incorporate into your mixed media work. Textured thinset is also an option. Instruction will include where to salvage for unusual objects, what to look for, what to avoid! !, and how to use those textures for creative designs. Learn to see ordinary materials as possibilities for textural interest …copper pipe is not just for plumbing and linoleum is not just for floors! We’ll talk about how to combine as few as 1-2 materials and, using a variety of cutting and design techniques, produce an effective mosaic. Cutting instruction, adhesives, and tesserae will be discussed. Class will also include techniques for cutting traditional mosaic materials for adding dimension, line, graduation of colour, etc. Recipes for colouring thinset and grout will be included and take-home notes provided. Wooden substrate will be provided, with extra bases available for additional work. This course is suitable for those new to mosaic as well as those with some experience who want to explore “non-traditional” methods and materials. There will also be extensive discussion about mosaic for outdoors – for climates colder than Mexico! What adhesives work, what materials to use, substrates that work, and much more. So start thinking about some ordinary things you could use for your mosaic — textural plastics, metals — whatever. 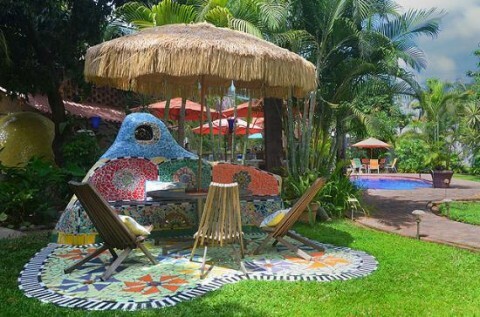 Be inspired by the art surrounding the beautiful tropical paradise of Sam’s Hacienda Mosaico, and create your own art with like-minded friends who love to salvage and re-purpose materials. Enjoy incredible food, camaraderie and relaxed atmosphere at Hacienda Mosaico and go home inspired to do even more art! Student List of Tools and Materials required for the class will be provided at registration. Instructor to Supply: Substrates, acrylic paints, rags, trowels, thinset/grout and powdered pigments. Check out the sumptuous surroundings here. Heather Vollans is an Australian mosaic artist working in Southern Ontario, Canada. A background in construction led to Heather’s exploration of ordinary materials salvaged from job sites and how to use them in artwork. 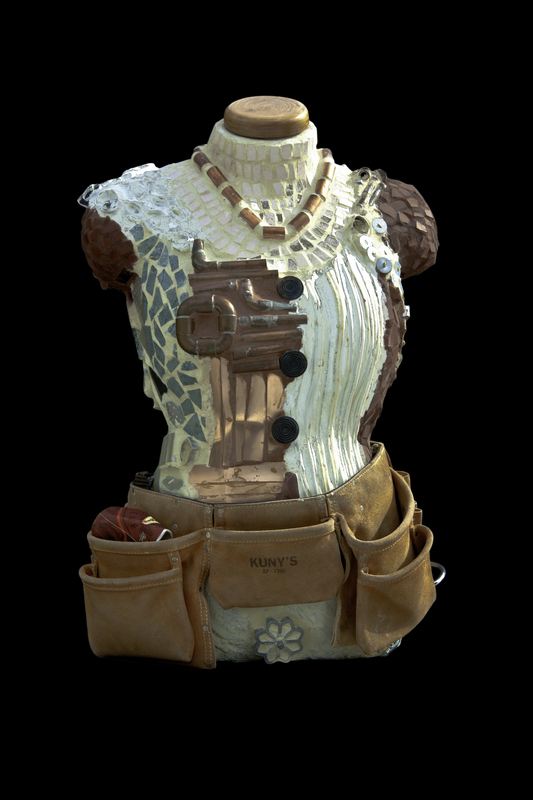 She now mostly works with unconventional mosaic materials to create mixed media artworks, with much of her work created for exteriors in Northern climates. 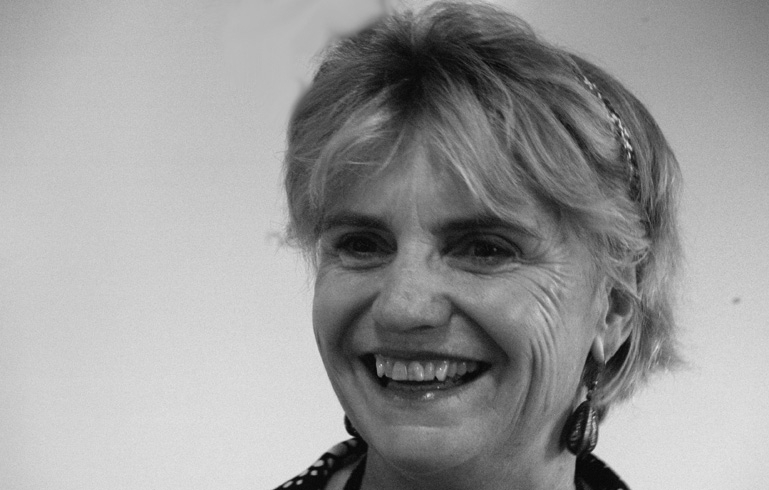 Her professional work includes public art, community projects, private commissions and exhibitions. Teaching experience includes colleges, in schools and at local galleries. Read more about Heather here. Contact Heather here.